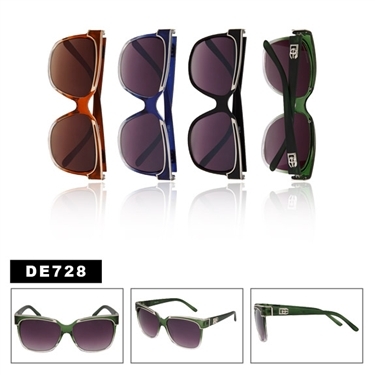 Ladies Designer Eyewear by DE™! This model comes with four very attractive colors, each pair featuring a delicate trim in metal. This is just one of several brand new styles brought to you by the leading designer brand DE™ Designer Eyewear.